Mnuchin’s statement reflected the consensus within the Trump administration about Iran’s Taliban links. 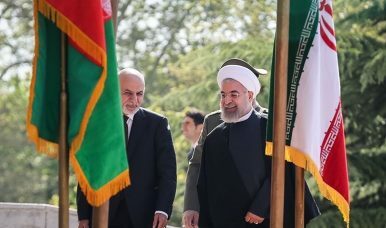 In May, U.S. Secretary of State Mike Pompeo accused Iran of supporting Taliban militants, and urged Tehran to suspend this relationship as a precondition for normalized diplomatic ties with the United States. 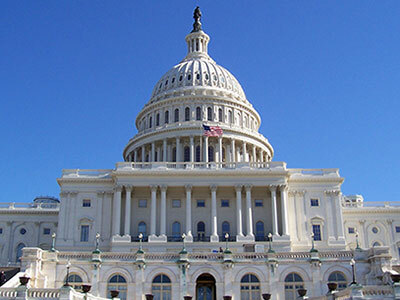 Although U.S. officials have correctly drawn attention to the destabilizing consequences of this policy, there is inadequate evidence for claims that Iran wants to harm the security of the United States by creating a state of chaotic instability in Afghanistan. 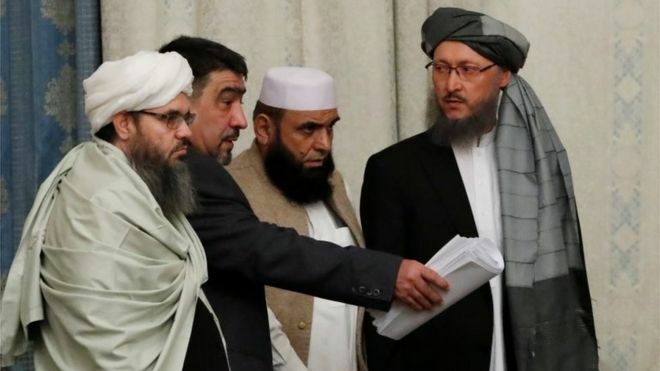 Last week, the Taliban launched an assault on the district of Jaghuri in the embattled eastern Afghan province of Ghazni. Reports in the Afghan press downplayed the severity of happenings in Jaghuri, which is considered to be the most secure rural district in all the country due to the demographics and geography. However, reporters from The New York Times who were on the scene saw something much different and far more terrifying than what was reported in the Afghan press: an Afghan Special Forces commando company that was sent to bolster defenses was routed, while security forces and government officials were attempting to flee the scene as Taliban forces advanced. As The New York Times noted, Jaghuri, which is considered to be “Afghanistan’s Shangri-La,” has until now been immune from the Taliban’s insurgency, despite that fact that it is located in Ghazni province, which has been a hotbed of Taliban activity. Jaghuri’s population of 600,000 is predominantly Hazara and are opposed to the Taliban. The Taliban has isolated the remote district by cutting off roads, but refrained from attacking it. One pickup truck after another arrived at the government compound in a district capital in Afghanistan on Sunday, pulling around to the back of the governor’s office to unload the dead, out of sight of panicked residents. An updated CRS report on Afghanistan has been posted. 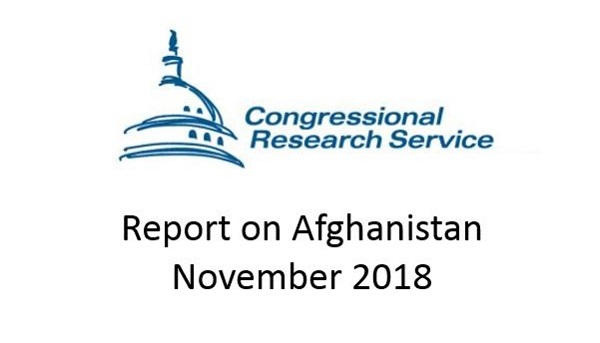 The 18-page report (R45122) published on November 1, 2018 provides an overview of the U.S. involvement in Afghanistan and the US policy on Afghanistan. It’s no surprise, then, that in the Chahar Asiab district of Kabul, on a tributary of the Kabul River, the Maidan, work is scheduled to begin soon on the Shahtoot Dam. The dam will hold 146 million cubic meters of potable water for 2 million Kabul residents and irrigate 4,000hectares of land. It will also provide drinking water for a new city on the outskirts of Kabul called Deh Sabz. Afghanistan is finally, after decades of devastating wars, in a position to begin to develop its economy and electricity from hydropower. The backdrop: a security rivalry between India and Pakistan in place since the 1947 partition of British India. The risk: nuclear catastrophe. Because the consequences of such an outcome are so dire, even the small chance of a nuclear conflict is worth trying to minimize. This report assesses whether satellite imagery and remote sensing technology, administered by a trusted third party, could ease the pressures and thus lessen the risk of disaster on the subcontinent. Structural political and security factors generate persistent security competition on the South Asian subcontinent. This competition in turn creates a small but difficult-to-close window for nuclear catastrophe. However unlikely, deployment of tactical nuclear weapons can open the door to inadvertent escalation or unauthorized use or theft. Any of these outcomes would be a catastrophe for the region and the world. 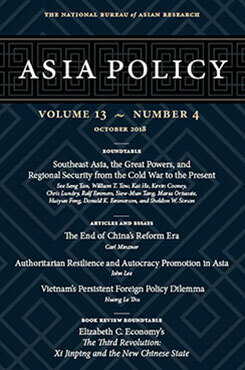 In honor of Sheldon W. Simon, emeritus professor at Arizona State University, this roundtable features a collection of short, substantive essays on the dynamics between the great powers of Asia and the smaller Southeast Asian states. 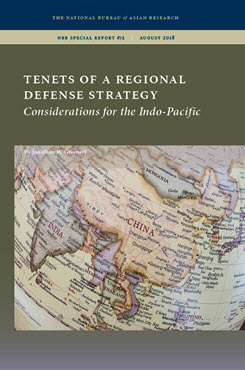 Authored by some of Simon’s colleagues, former students, and collaborators, these essays address a range of themes important to Simon’s work, including the great powers, interactions between the big and small states in the region, and Southeast Asian regionalism and security. In addition to their voices, Simon offers a retrospective reflection on the region. Access to this roundtable is free through November 29, 2018. The biennial Zhuhai Airshow held in southern China always presents an opportunity for Chinese military watchers to observe some of the latest aerospace and military technology intended for export to gauge domestic People’s Liberation Army (PLA) systems. Zhuhai also allows observers to closely observe PLA aircraft and systems placed on static display and sometimes new flight routines as well. 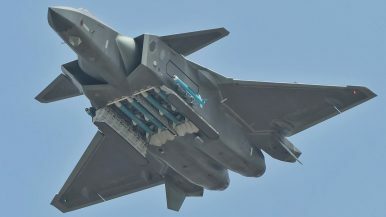 The recently concluded Zhuhai Airshow of 2018, however, ranks as the most impressive event in recent memory by a significant margin, featuring an impressive performance by J-20 stealth fighters, the first ever demonstration of a Chinese thrust vector control (TVC) equipped fighter, as well as a large number of new flying wing drones, new radar systems, and more. This piece will examine some of the most interesting and consequential displays and products. Premier Li Keqiang made the commitment on Tuesday in Singapore before attending the annual summit of the Association of Southeast Asian Nations (Asean). Li said a peaceful and stable international environment was crucial for Beijing to improve ties and reach free trade deals with its neighbours, adding that China hoped to conclude negotiations for a comprehensive regional economic partnership trade deal next year. The premier also said that a code of conduct between China and other claimant countries – which China hoped would be successfully negotiated in the next three years – would be conducive to maintaining and sustaining peace in the region. The long-anticipated top-level diplomatic and security dialogue between the United States and China has come and gone with no apparent progress on any of the issues bedevilling bilateral relations, especially the simmering tensions over the South China Sea. Glaringly, the two sides have not announced any agreement on risk-reduction measures, and sharp policy differences remain. The second annual US-China Diplomatic and Security Dialogue was held on Friday in Washington, between delegations led by Secretary of State Mike Pompeo and Secretary of Defence James Mattis for the US and Politburo member Yang Jiechi and Defence Minister Wei Fenghe for China. This collaboration is highest in the Five Eyes countries, Germany and Singapore, and is often unintentionally supported by taxpayer funds.2 Australia has been engaged in the highest level of PLA collaboration among Five Eyes countries per capita, at six times the level in the US. Nearly all PLA scientists sent abroad are Chinese Communist Party (CCP) members who return to China on time. This report by ASPI’s International Cyber Policy Centre collates and adds to the current open-source research into China’s growing network of extrajudicial ‘re-education’ camps in Xinjiang province. The report contributes new research, while also bringing together much of the existing research into a single database. This work has included cross-referencing multiple points of evidence to corroborate claims that the listed facilities are punitive in nature and more akin to prison camps than what the Chinese authorities call 'transformation through education centres’. By matching various pieces of documentary evidence with satellite imagery of the precise locations of various camps, this report helps consolidate, confirm and add to evidence already compiled by other researchers. Robert Sutter (George Washington University) discusses China’s increasing collaboration with Russia and what it means for U.S. policy. 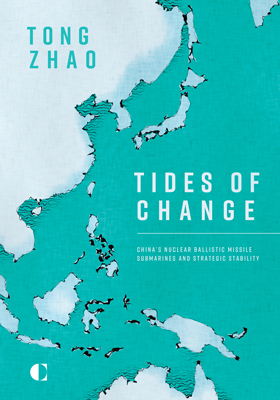 This brief draws on the author’s contribution to the book Axis of Authoritarians: Implications of China-Russia Cooperation (October 2018). To the casual observer, it’s not immediately evident how Kris Shaffer’s training as a musicologist prepared him for his job as an online detective. Shaffer, an analyst with the company New Knowledge, tracks disinformation campaigns for a living—the kind that Russia waged against the United States during the 2016 presidential election. His title is a mouthful: senior computational disinformation analyst. But before he took the job, Shaffer was a musicologist who wrote his dissertation on a Hungarian avant-garde composer, Gyorgy Ligeti, whose claims about his music—not unlike the Kremlin’s propaganda—contained some “mistruths and half-truths,” he said. Ligeti had composed a series of works that drew heavily on the giants of Western classical music—Beethoven and Mozart, among others—all the while insisting that his music remained entirely new, entirely avant-garde. Work is constantly reshaped by technological progress. New ways of production are adopted, markets expand, and societies evolve. But some changes provoke more attention than others, in part due to the vast uncertainty involved in making predictions about the future. The 2019 World Development Report will study how the nature of work is changing as a result of advances in technology today. Technological progress disrupts existing systems. A new social contract is needed to smooth the transition and guard against rising inequality. Significant investments in human capital throughout a person’s lifecycle are vital to this effort. If workers are to stay competitive against machines they need to train or retool existing skills. A social protection system that includes a minimum basic level of protection for workers and citizens can complement new forms of employment. Improved private sector policies to encourage startup activity and competition can help countries compete in the digital age. Governments also need to ensure that firms pay their fair share of taxes, in part to fund this new social contract. The 2019 World Development Report presents an analysis of these issues based upon the available evidence. By 2023, nearly every enterprise will act like a digital native, as the digitized global economy continues to expand, according to a Tuesday report from the International Data Corporation (IDC). The organization set out to make 10 predictions for the IT landscape moving into 2019 and beyond, as IT and business leaders continue to undergo digital transformation. Organizations are being rebuilt around 3rd Platform technologies like cloud, mobile, big data analytics, and social media, and are further enabled by "innovation accelerators" such as the Internet of Things (IoT), artificial intelligence (AI), and augmented and virtual reality (AR/VR), the report found. While many organizations are well on their way to transforming using these technologies, the next chapter of innovation will require companies to expand their digital reach, improve intelligence, increase app and service development, and meet increasing customer expectations and security needs. After 9/11, the United States was thrown into a type of conflict that the U.S. military, intelligence community and Department of State all did not expect: large-scale counterinsurgency. The United States, particularly the military, had always been reluctant to take this on. Counterinsurgency is a politically and psychologically complex struggle that doesn’t play to America’s strength: morally unambiguous warfare where victory comes from creating the biggest and most powerful military, then winning battles until the enemy is crushed. Counterinsurgency often takes place in cultures and locations—remote villages, dense city streets—that Americans have a difficult time understanding. 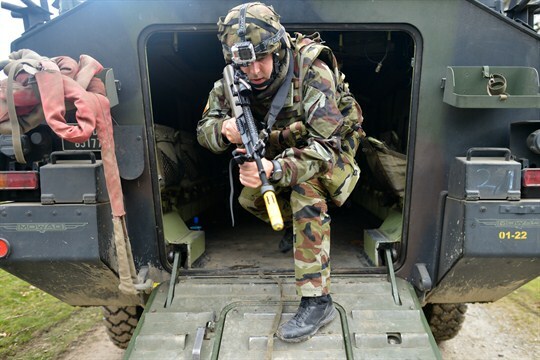 People who form their ideas about the U.S. military based on Hollywood movies might get the impression that cutting-edge technology is standard in the fighting forces. In fact, the opposite is true. At nuclear sites around the country, technicians still use floppy disks. Only this summer is the U.S. Navy expected to upgrade from Windows XP, an operating system long since scrubbed from home computers. The new F-35 stealth fighter jet, touted as the most sophisticated in the world, was first conceived of in the 1990s. So when the Defense Department announced last year that it wanted to partner with Silicon Valley to build a massive cloud storage unit where it could securely warehouse and categorize the secret data it collects from intelligence agencies and the military, some experts scoffed. Companies such as Amazon and Google are defined by an ethos of agility and innovation. The Pentagon, by contrast, is known to be clunky and risk averse. Just getting a contract through the department’s famously byzantine procurement process would require a kind of bureaucratic wrangling that a Jeff Bezos or a Tim Cook would find abhorrent. The diversity among the key regional players requires a careful reckoning of each player’s formation of national power, as well as the likelihood and means of using that national power.